A postboy's photo of a little owl has left wildlife members to scratch their heads – as it is almost impossible to see despite being just below their nose. The break of Paul Beech sent social media a blow this week as people struggled to spot the little bird where it interfered with the wooden bark. The 55-year-old got the confusing picture while talking birds near his home in Macclesfield, Cheshire, last summer, but just discovered he'd created an accidental & # 39; spot the bird's game. Even though Paul admits getting the shot was not easy every time the amateur photographer took his eyes off the bird or moved positions, it would take him a few minutes to move it. Paul said, "I intentionally tried to find the little owl that is easier said than finished, as it lives up to its name, and as you can see in the picture, it can be hard to spot. "But I knew you were around the area so I continued and paid it." "Whenever the bird moved from tree to tree, it would take a few minutes to move it, or even if you look away for a moment, you might lose it. "My first thoughts when I took the picture were" I was glad I had taken my long lens with me! " "It probably caused a stir online – I supposed it might when i went to upload it. "But it fits in so well that some people even have to point it out to them before they see it, which is great when you think it's right in the middle of the picture." "It just goes to show how well adapted these birds are in their surroundings." 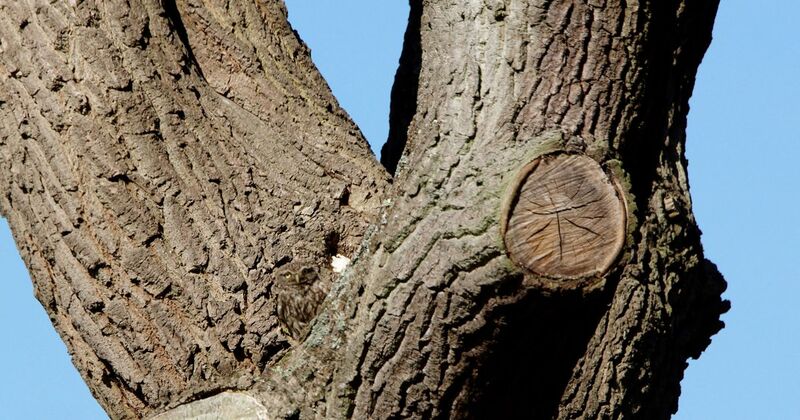 Many users call the image an example of "camouflage at its best" and some asked what the price was to spot the owl. A user said, "Wow amazing, took me a good moment to see him!" A bird life said, "That's why most of us never see them on our walks." Do you have a story or a problem you want examine? Do you want to tell us something about where you live? Let's know – in full confidence – by emailing newsdesk@men-news.co.uk, calling us on 0161 2112920, tweeting us @MENnewsdesk or notifying us on our Facebook page. You can also send us a story tip using the form here.